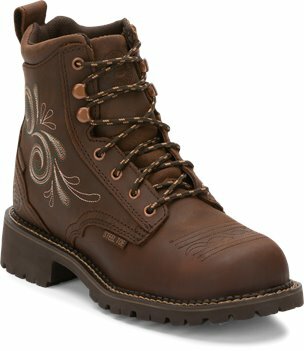 Work hard and look good while doing it in the Katerina Waterproof Steel Toe 6-inch tall Justin Gypsy™ Women's work boot. 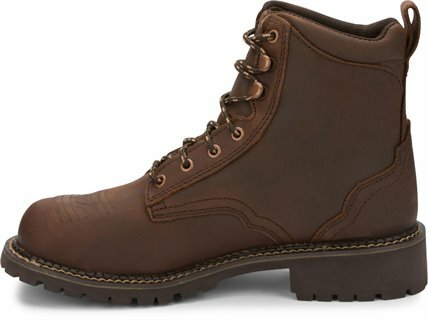 This lace-up boot features a golden brown leather exterior with a delicate floral stitch pattern along the quarter for an added feminine touch. Its built tough with a steel toe and the J-Flex Flexible Comfort System® insole which cushions and supports the foot, so your guaranteed protection and comfort for those long work days.